Apple has lost its luster in China, and the iPhone X probably isn't going to bring it back. The company's highly anticipated new device is expected to sell well in the world's largest smartphone market. But experts say it's unlikely to reverse Apple's loss of market share to aggressive Chinese rivals. China is one of Apple's most important markets, and CEO Tim Cook pays regular visits. He and other business leaders attended an event with President Xi Jinping just this week. The U.S. tech giant has struggled there in recent years, though. 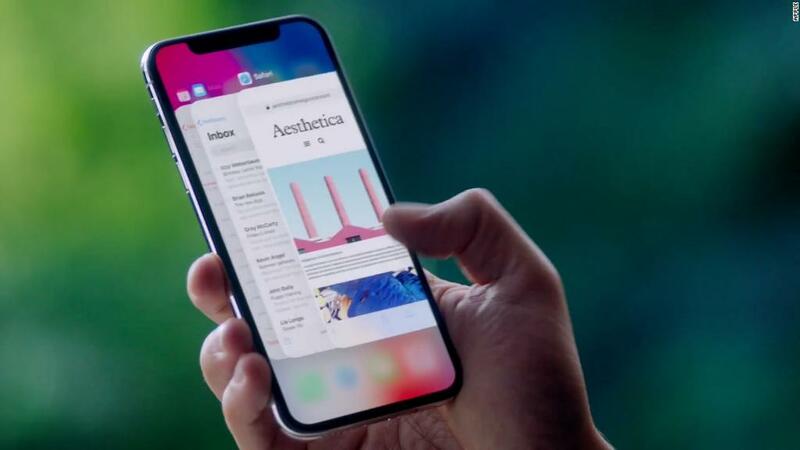 The iPhone suffered six consecutive quarters of declining sales in China through the end of June, according to Canalys research. Apple's overall revenue in the region has followed the same trend, falling by double digits every quarter over the same period. Apple broke its downward streak in smartphone sales in the most recent quarter, helped by the launch of the iPhone 8, according to Canalys. But the research firm says such growth is unlikely to continue through the end of the year. The iPhone X, which hits stores on Friday, isn't expected to be a silver bullet. In China, where the new iPhone starts at nearly $1,300, those willing to splash out that much cash will be status-conscious consumers who already use Apple products, according to Jin Di, an analyst with research firm IDC. The new phone "really targets limited customers," said Hattie He, Shanghai-based analyst with Canalys. "It is unlikely to drive Apple's sales volume very high." Instead, homegrown Chinese brands Huawei, Oppo, Vivo and Xiaomi will continue to chip away at the U.S. company's market share. Huawei's latest offering, the Mate 10 Pro, is a direct challenge to Apple's iPhone X. When it comes to high-end phones -- defined by Canalys as those that cost more than $600 -- Apple is still the clear leader in China. It commanded more than 80% of that part of the Chinese market in the third quarter of this year. But domestic players are upping their game in that area too, according to He. 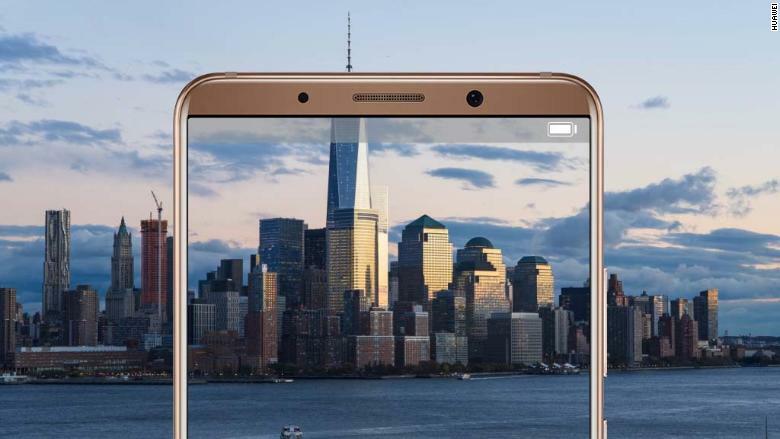 Huawei recently recently introduced the Mate 10 Pro, which sells for around $800 in China. It's a strong challenger to the iPhone X -- and it's roughly $500 cheaper. The other big players -- Vivo, Oppo and Xiaomi -- don't have any devices that can go toe-to-toe with the latest Apple offering. Not yet, anyway. "They've got ambitions in the high market," He said. "But it takes some time." For now, the Chinese smartphone makers are dominating the market for younger, more cost-sensitive consumers with devices that may not be as expensive as the iPhone X, but still carry price tags between $300 and $500. Chinese smartphone makers like Vivo use celebrity endorsements to drum up excitement for devices. 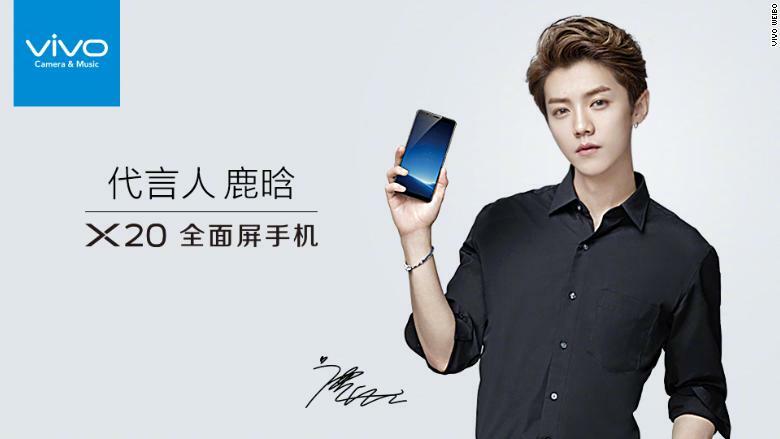 Oppo and Vivo are particularly popular brands among Millenials thanks in part to targeted promotions, like Chinese pop stars advertising their devices on social media platforms. Meanwhile, Xiaomi is challenging Apple's ecosystem of compatible devices, offering smartphones, fitness trackers, laptops and even rice cookers that all connect to each other. Domestic players also have one more advantage Apple just can't match: they're Chinese. Chen Huanzhen, a hotel executive, said she plans buy a Huawei device rather than an iPhone X not only because it's more affordable, but also because it's the patriotic thing to do. "I am going to switch to a Huawei from an iPhone because I want to support local Chinese products," she said. -- Kinnie Li contributed to this report.